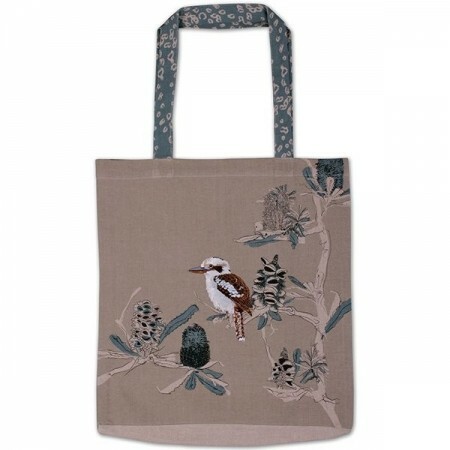 This shopper bag features the Australian Kookaburra and Banksia and is printed on Australian Certified Organic cotton. You are supporting a small business and the artists that work in conjunction with The Linen Press. All The Linen Press products are Australian Certified Organic and the company is a certified Climate Friendly Business. Great for grocery shopping or a book bag. Made from organic cotton with water based inks meeting an organic standard. Packaged with recycled header card. 70cm x 45cm / Organic cotton. Designed and printed in Australia. 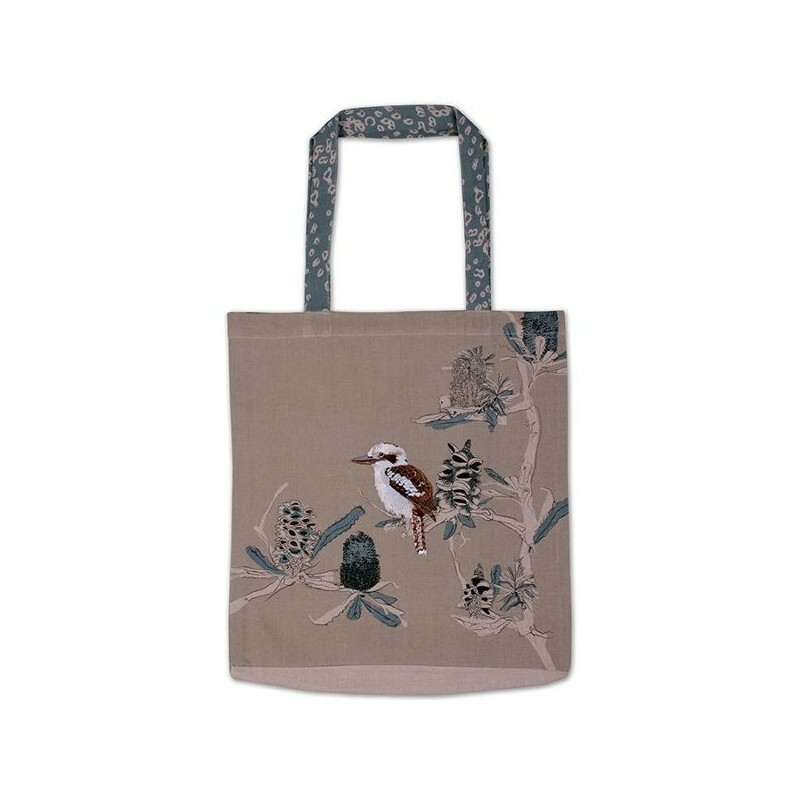 Shopper bag made ethically in India.